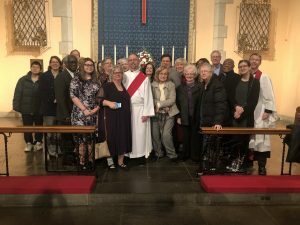 St. Thomas’ Presents… a new Deacon for Christ’s Church: The Reverend Ken Carpinelli! Two dozen of us were there to proudly witness his ordination at Christ Church Cathedral in Trenton on 19 January 2019. Congratulations, Ken!